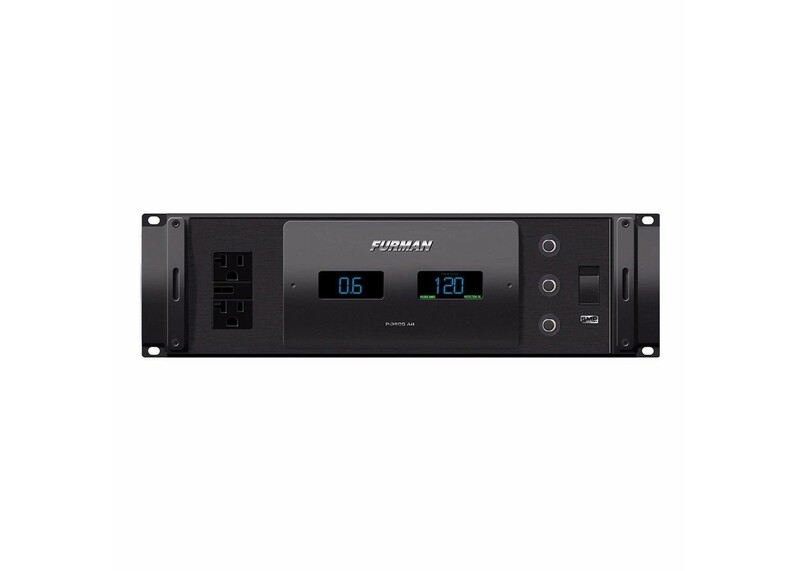 The Prestige Series P-3600 AR G is a 3RU power conditioner/True RMS voltage regulator that offers a one-of-a-kind power management solution for A/V professionals around the globe. The P-3600 AR G ensures stable 120V power delivery from any input voltage source between 100V to 127V or 208V to 240V. The unit provides connected 120V equipment with stable voltage, power protection, and AC line filtration, ideal for use with 120V A/V gear when travelling to countries with 100V, 220V, 230V, or 240V services. The P-3600 AR G's predecessor, the Furman AR-PRO, has been an indispensable product for many professional users. The updated model features Furman's True RMS Regulation Technology (utilizing an ultra-low-noise torroidal isolation transformer/autoformer, high-current switching TRIACs, and micro-processing control) to step-down or step-up input voltages. The unit also offers Furman's exclusive LiFT/SMP/EVS technologies for professional-level protection and linear AC noise filtration. These features, along with the P-3600 AR G's 30A output capacity and wide input voltage capture range, make it a unique solution among other portable power conditioner/voltage regulators and a reliable, application-specific alternative to typical step-up/step- down transformers. • Large LED voltmeter displays incoming line voltage. • Large LED ammeter displays output current draw. • 30 Amp rating featuring a high inrush magnetic circuit breaker for added protection. • 11 total outlets (nine rear panel outlets and two front panel convenience outlet).